Our coaches love running and helping our people develop a like (and sometimes love!) for this sport. While this is important it's not the only thing that it takes to be a great coach. 3. They have to have a love of people. We are proud of our coaching team as all of them fit this criteria... and they are great people! Aine is a joker who always has a smile super glued on her face. But don't be deceived, she has achieved so much as an athlete. She defines life with this saying: 'Do what you love, love what you do'. Check out some of her running achievements. Has lived in NZ since 2009 years and loves the amazing places to run here! Alex always enjoyed running growing up but it wasn’t until she was 24 and in her final year at University when she joined a ½ marathon training group that she specifically started to focus on running. Until then, she’d been more of a gym bunny and the idea of running a half marathon or joining a running club was a bit intimidating. These days Alex gets her endorphin fix from a mixture of running and group fitness classes. She is excited to become a part of Extra Mile Runners team and help others to make real improvements in their running and general fitness. Bevan is one of the world's top fitness professionals and started Extra Mile Runners back in 2009. Dan has enjoyed health and fitness for as long as he can remember and he is fascinated by what the body is capable of doing. 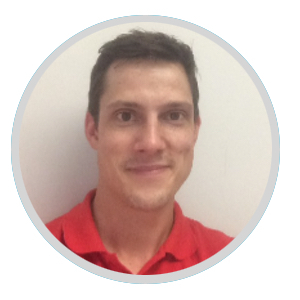 He moved to NZ in 2008 from the UK, where he was a qualified Sport Rehabilitation Therapist (BSc) and spent the last 8 years working in the running industry as a gait and footwear specialist. Dan loved being able to help others reach their running goals and overcome injury. Dan recently qualified as Personal Trainer here in NZ and loves getting out to run the local trails. He has competed in multiple races over the years, anything from 10km up to 100km, and it’s his therapy for emotional well-being. Gail is a top age group triathlete, competing around the world representing NZ for the past eight years. Her highlight (so far) has been qualifying then representing at the 2013 Ironman World Championships in Kona, Hawaii. Gail is a Company Director / Owner of Motels in Amberley, North Canterbury, a qualified Architectural Draughts-person and Mum to three sensational children. Her family and fitness are extremely important to her and she is passionate about helping others find their 'happy place' through achieving their health and fitness goals. Geoff is a coach, trainer and exercise consultant with a certificate in F.I.T training, he's worked as an International presenter for Les Mills Fitness programmes and as a coach developing athletes. While focusing on cycling now, Geoff still loves the simplicity of running and the benefits that come from it. 'Get up to Five, Club10k and RaceTeam have been fantastic, the sense of community and common purpose within the group is inspiring and refreshing, these guys rock! Bev and Jo have created something really special and I'm proud to be part of it'. Jo manages the administration and logistics of the business and also coaches when she can. A passionate runner herself, Jo loves the group dynamic and camaraderie that comes with being part of a team all working towards a goal together and often trains with RaceTeam for half marathons. "I love seeing our crews help each other along, on those days where they face a challenge where they have self doubt, they help each other and motivate each other and get there. To see someone achieve a goal they have been working towards for 8-10 weeks, whether it is 5km or 21km is quite amazing - and so incredibly inspiring, I find myself motivated and inspired by our runners every single day. That is what we do this for". Kylie has always been involved in sports including playing netball at provincial level. Always an active runner; a switch to triathlon in the last few years has seen her represent NZ at Age Group level. With a qualification in Physiotherapy and a Post Grad Diploma in Sports Medicine, Kylie has worked with people from all walks of life. She joins our team to help motivate others to be the best version of themselves they can be and to see the benefits in regular exercise. Mat originally hails from the UK where his love of running began in the hills of the Peak District. He moved to New Zealand in 2010 and took on the mighty mountains of the South Island, entering numerous races whilst also setting personal goals to keep his running motivation. Mat has competed internationally in orienteering and has raced in numerous long distance and ultra events where he enjoys the mental as well as the physical challenge that running brings. Mat's biggest personal achievement is his 52 Peaks Challenge, where he tackled 52 NZ mountains in as many weeks, taking in some of the country's most picturesque areas. This took him to some of his favourite running locations across New Zealand, including The Remarkables, Arthur's Pass, The Kaikoura Range, and the Kapiti Coast. Mat has coached athletes at a national level in both running and orienteering specific skills, and looks forward to sharing his infectious enthusiasm for running with the Extra Mile Runners. Sam has been into sports in some way for most of her life playing and coaching both netball and tennis. Sam joined the Extra Mile Runners crew back in 2009 for the very first RaceTeam programme where there were only 12 in the team and she definitely caught the running bug! After seeing what she was capable of and achieving through running, it sparked her own passion to help others to grow and reach their health and fitness goals. "It's a real honour and buzz being part of the journey that people take to challenge themselves and reach their goals"
Sam is a qualified nutritionist and is always keen to help our team with any nutrition plans that may be required - whether it be for healthier living, weight loss, endurance training...or all of the above! Feel free to get in touch with Sam via our Contact Page. Sam has also completed her personal training qualification, is a group fitness instructor at Les Mills and works closely with Jo in the "behind the scenes" stuff of Extra Mile Runners..if you contact us you are likely to hear back from Sam. Adam is a Wellington born father of 2 and for the past decade has been involved with Les Mills as a Group Fitness Instructor, Head Trainer, and a Regional and International Presenter. He is a self-confessed sports fanatic and loves any chance to keep active. Thanks to his wife, Adam learnt to swim late in life and ended up completing 3 Ironman Races and representing New Zealand in both Olympic and Long Distance Triathlon in Germany and Hawaii. From there he has had the opportunity to coach and mentor numerous athletes. Adam's lifetime passion is cycling and can be seen most weekends out on the roads of Wellington or recovering at the local café. He treasures the opportunity to train and motivate others and has coached Intermediate Girls Cricket and continues to be a committed Senior Netball Coach for the local College. "I’m excited to work with the Team at Extra Mile Runners and help people chase their dreams and achieve their short and long term goals. With the right support, anything is possible". Hutt born and breed, Brogan is an enthusiastic ex-Army Physical Training Instructor and now Musculoskeletal Physiotherapist. He is a lover of all sports but particularly enjoys Tennis, League/Rugby, Disc Golf, and Brazilian Jiu-Jitsu. He is an avid trail runner and has completed multiple Half-Marathons and Adventure Race’s. In 2018 his goal is to complete a 50km trail run, with the long-term goal being a 100km trail run. Brogan graduated from AUT in 2014 with a degree in Physiotherapy. Since then he has been Wellington based, working in the private practice sector treating a range of musculoskeletal injuries and post- operative clients. He has a specialty interest in movement biomechanics and injury prevention. Brogan currently works for Proactive rehab, out of the Hutt City Les Mills. He loves being in this motivated and fitness orientated environment where he can push people to reach their potential and restore their function. Originally from the UK but came over to New Zealand in 2008 and has stayed ever since. 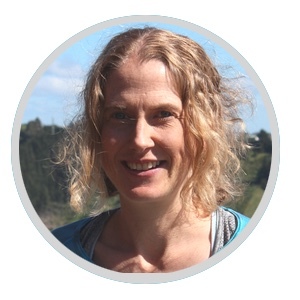 Hazel was involved in Extra Mile Runners in Christchurch between 2012 and 2013 coaching before moving to Wellington. Hazel is a physiotherapist and has worked within the sports medicine field for the past seven years, she currently works at Capital Sports Medicine. Hazel’s main sport is hockey, playing premier club and representative level in the past. She also enjoys exploring the vast options of trail runs and mountain bike tracks in Wellington. “I thoroughly enjoy working with Extra Mile Runners, there is a fantastic sense of community that I love being a part of. Helping people to achieve their goals whether it be 5km, 10km or a half marathon (and sometimes fixing their injuries or niggles along the way) was extremely rewarding and I am very much looking forward to being a part of the Wellington team”. Born and raised in Nelson, Jordan completed his MSc in geography at the University of Canterbury before shifting to Wellington to join an engineering firm. From a young age, Jordan has been competitive in a diverse range of athletic and endurance events including mountain biking, road cycling, triathlon, duathlon, ocean swimming, sprinting, middle-distance track, trail running and 21 half marathons. Jordan loves challenging others to get the most out of themselves both physically and mentally, and helping them to set and exceed their exercise goals. Larna's passion for fitness first started with Dance (American Jazz Ballet and Hip Hop) at Hutt City Dance Centre in Lower Hutt. After joining the gym in 2005 she began instructing a dance class then started instructing Body Jam (dance class) at Les Mills in 2006. Larna has been instructing at Les Mills for over 10 years and is a certified instructor in Body Jam, Sh'bam (dance) and RPM ( indoor cycle class), she also completed my personal training certificate in 2010. In 2013 Larna completed her first quarter and half Ironman triathlon at Ironmaori. This event left her forever changed and inspired as she watched many people from all ages, sizes and fitness levels cross the finish line. After doing two more half Ironman's in 2014 and with the support of many other Ironmaori athletes she completed her first full Ironman in Taupo 2015. Larna continues to participate in many half marathon, cycling and Triathalon events. As an instructor at Les Mills and as a triathlete Larna is passionate about helping others to dream big and achieve more out of their health and fitness. She loves the moment when people discover that moving is like breathing...you just can't live without it. Larna is currently a manager at Les Mills Extreme in Wellington and when not doing what she loves at work she is usually in training for her next triathlon, running trails or mountain biking in the hills. Lua has always been sporty but never been a self confessed "runner". When he had the opportunity to see the Extra Mile Runners group in action he was inspired in seeing a group, most of whom were also self confessed "non-runners" getting out there and doing it. When the opportunity came along to be a run coach Lua jumped at the chance. Watching his partner Rachel inspire, motivate, have fun and seeing the difference she and the rest of the Extra Mile Runners team are making in the fitness and lives of our runners motivated Lua to start running himself! Lua is currently studying Team Fitness training and takes the Scots College 1st XV fitness session at Elevate+ Gym, he also works with the Island Bay church community once a month taking them through fitness classes. Based in Wellington, Rachel’s passion and drive is to help people achieve their goals no matter how big or small – she loves to have fun while we achieve their goals. Rachel has been a Les Mills Group Fitness Instructor for the past 18 years teaching RPM/BodyPump/CXWORX/GRIT Strength and is currently studying to become a Personal Trainer.